Although the music/rhythm genre has fizzled a bit recently, we are still seeing a few releases here and there. And while Just JAM is nowhere nearly as deep or engaging as a Guitar Hero or Rock Band title, it does put quite a bit of musical direction in the palm of your hands via the Wii Remote and Nunchuk, but with a lack of recognisable tunes and far less freedom of expression, will the game be able to hold player's attention long enough to get their money's worth out of the package? 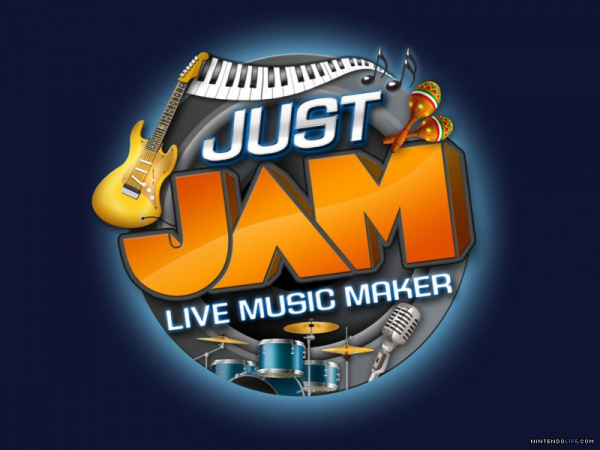 The premise behind Just JAM revolves more around arranging musical tracks than actually creating music itself. 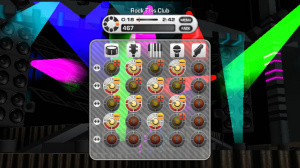 When you start a JAM you're given a group of varying musical tracks surrounding a host of different musical instruments. 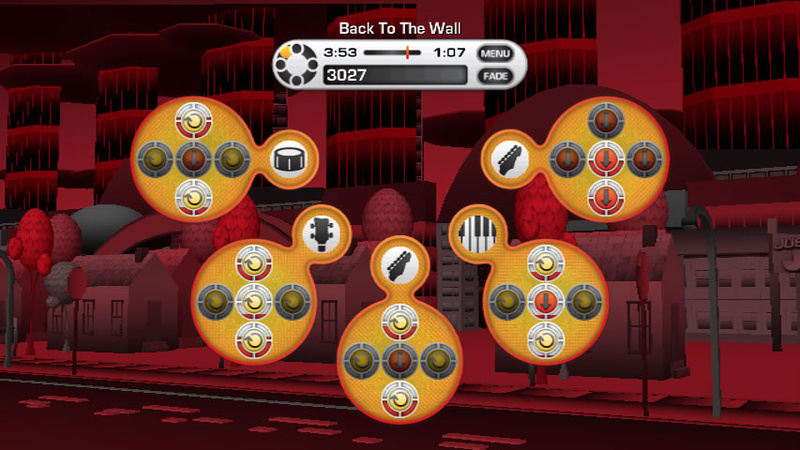 You'll have five different tracks that span guitar, bass guitar, vocals, drums, and sound effects. Using these, you'll be able to carefully piece together entire tracks of music by turning the different tracks off and on at different times. Of course playing in different venues will offer up different sounds to work with, and when combined together with all of the different tracks the game has to offer, can give you a wide range of musical freedom with which to work. 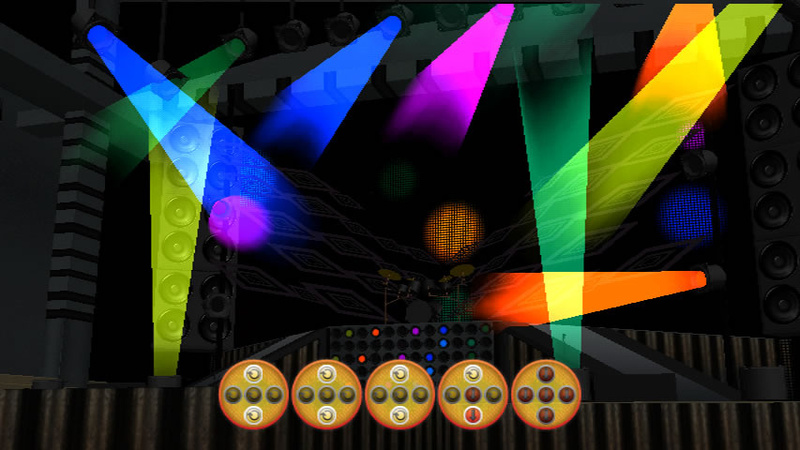 There are two different modes to choose from: Freestyle and Mixing Board. Both work very similarly, but Freestyle does tend to offer you a way to switch tracks on and off much more quickly. You can use only the Wii Remote, but you lose some of the more intricate tools needed to create more diverse musical compositions. Turning tracks on and off requires little more than clicking on a specific track to activate it and clicking on it again to de-activate it. Of course if you want to get a bit more creative, you can also use "+" and "-" tags to select multiple tracks and then jiggle the Wii Remote or Nunchuk to activate the tags. This allows you to turn an entire set of tracks on or off at the waggle of the controllers. 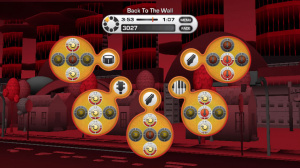 As you rack up XP points for creating well-balanced musical jams, you'll be able to unlock not only new tunes to work with, but also new venues to play in. While this might not sound like much incentive to stick with your music creation, once you see how much variety these new tracks and venues bring to the table, you'll soon see just how worth the effort racking up XP points can be. You can even share your creations with a friend by exporting them to their Wii Remote which will allow them to take the creations to their own Wii console and import them. The simple controls make getting into the game quick and painless. You'd be hard-pressed to find a more simple interface to work with and the ability to unlock new musical tracks and venues to play in should keep you coming back for more, at least long enough to get your money's worth. There might not be nearly the level of interactivity of some of the more diverse music/rhythm experiences we've seen in recent years, but as a very basic music creation tool, Just JAM ends up being a fairly solid experience. There are some really impressive backdrops to work with in the game, many with a lot of visual flare and unique animations. The interface itself is fairly standard, but given the attention to the staging venues, it's not surprising that the developers tried to keep the somewhat intrusive interface as basic as possible. The wealth of techno-style music tracks are all very catchy and even without a mainstream familiarity, they still do a great job of carrying the creative theme the game makes use of. Even with the lack of mainstream musical tracks and the wide variety of input control found in Guitar Hero and Rock Band, there's still a wealth of opportunities for creating interesting and diverse musical pieces inside of Just JAM. The simple interface is going to make it far more appealing to beginners, but players willing to stick with the package long enough to unlock the various tunes and venues might find there to be far more diversity than meets the eye. Just be sure you know what you're getting before you dive into the package expecting something a bit more intricate. Great Review Corbie, the game scored higher then I thought. @dragon: Doe! A deer, a female deer!!! But it's musical!